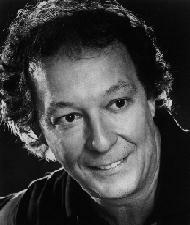 Bill Danoff has been extraordinarily successful on the international stage. He has been singing and writing songs since the late 1960s when he performed and co-wrote songs with John Denver at the Cellar Door in Georgetown, an historic area of Washington, DC, When Bill and his then partner, Taffy Nivert, invited Denver to help them finish writing a song, little did anyone know that the song would soar to the top of the charts. "Take Me Home Country Roads" catapulted John Denver into national prominence. Another Danoff-Nivert song, "I Guess He'd Rather Be in Colorado" was recorded by Denver and it became the theme song of Colorado. And with Emmylou Harris, he wrote her hit, "Boulder to Birmingham." In the 1970s, Bill was the driving force behind the Starland Vocal Band. "Afternoon Delight" (five Grammy nominations, two awards, and a place in the Rock & Roll Hall of Fame) assured Bill's place in the national music scene. For the last decade, Bill has been performing solo and is still writing hit songs like "Late Nite Radio" and "Friends with You", both of which became national top-ten hits. "Potter's Wheel", one of Bill's more recent songs, was included on John Denver's album, Different Directions. Bill has also been instrumental in working with new talent and introducing them to his audiences, including Mary Chapin Carpenter and John Jennings. Bill continues to perform (See Bill's Schedule) solo, sometimes in John Denver tribute concerts with members of his former band, and to write and to record new songs. Bill has used his music to make a difference in our lives and the lives of many young musicians on the rise. 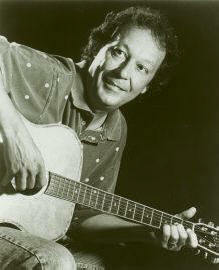 Click on links to other pages to learn more about the music of these various Bill Danoff creations. © 2002, 2003, 2004, 2005, 2006, 2007, 2008 by Bill Danoff. All rights reserved.